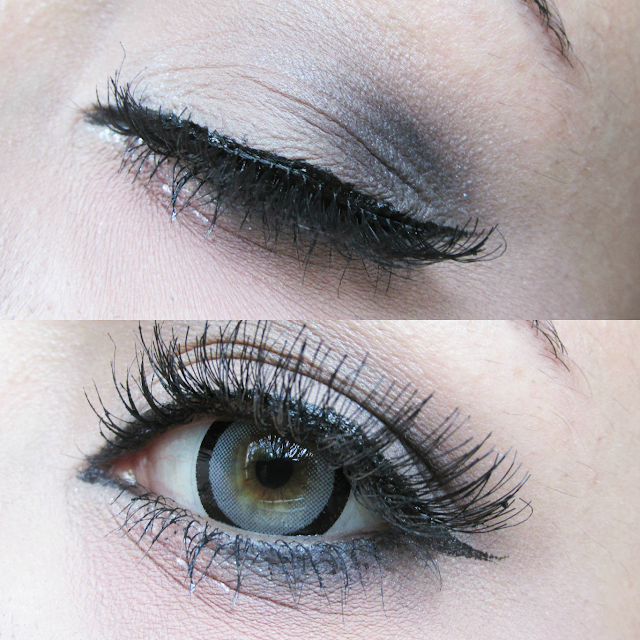 Wow since the last eyar I didn´t published my section of cheap but cute lashes from eBay. I am not sure why some people wish spent a lot of money just in a pair of eyelashes where you can find good options in ebay. I know that each person is free to make with their money whatever they want but in my case I prefer save money always that I am going to buy makeup and eyelashes. The reason is because when you are just a student you need save money always. I´ve learned something each year. Not always is about expensive brands and popular products. I can´t deny that sone very popular products and fake lashes are great too but If you can find an affordable option for me is better. This will not be a conventional review I am going to start without a order sharing my opinions about this product. I purchased this product per $1.3 USD at ebay and I think It was a great deal. Because this is a vox with ten pair of false eyelashes. These falsies are perfect If you want long eyelashes and a great volume. These are very lightweight so is super easy to use with regular eyelash glue. - Great price, the price is super cheap. - Easy to clean and apply. - You only can buy this product in ebay. I really like these falsies. My only problem with them is the fact that the band is white and that is a problem because If you are not using a liquid eyeliner It can be see the white line band. If you see with detail the close-up pic between each falsie there is that line where that line was painted with liquid black pen eyeliner each space. That annoys me a little because I don´t like lost time making my makeup and this take time. But that aside I think these are a good falsies and I used them for my previous review. And I really love it the effect. But with this great volume and the band issue think that probably I am going to use more for the corner of my eyes because I have good natural lashes. Glad these work so well for you, they look amazing on you! Wow these look so soft and natural! You look amazing with these lashes! I actually really like the look of fake eye lashes! Those lashes look so pretty! wow, looks really sweet) I would lvoe to try it! Those eyelash's look amazing on you. I think the secret with falsies is always the practice. Wow! You look pretty with them! And they seem to me pretty natural! Amazing makeup as usual, on the last photo! Love it!